All four of the major wireless carriers are now selling the 4G phones that they had promised at the Consumer Electronics Show in January. The new phones are designed to take advantage of the faster data speeds offered by the next-generation networks the carriers have been spending megabucks to build (and advertise) over the past year. In total, four such phones have come to market so far: the HTC ThunderBolt (the first phone designed to run on Verizon's 4G LTE network), the Samsung Galaxy S 4G from T-Mobile, the Motorola Atrix 4G from AT&T, and the HTC EVO Shift 4G from Sprint. The phones have arrived with a considerable amount of hype from the companies selling them. 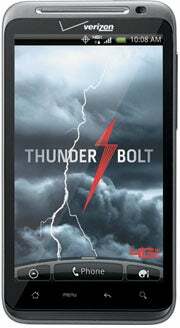 Verizon, for instance, says that its ThunderBolt has "immense power, scorching speed." T-Mobile claims that its Galaxy S 4G is "the fastest phone running on America's largest 4G network." And Motorola, which makes the Atrix for AT&T, insists that its device is "the world's most powerful smartphone." Naturally, we wanted to know how fast these phones really are, so we hit the road to speed-test them in five cities around the western United States: Seattle, San Francisco, San Jose, Los Angeles, and Las Vegas. In a nutshell: Verizon's ThunderBolt is in a league of its own, averaging 18.30 megabits per second for downloads and 7.39 mbps for uploads. T-Mobile's Samsung Galaxy S 4G turned in a solid performance, clocking average speeds that looked 4G-like (3.38 mbps for downloads, 1.13 mbps for uploads). AT&T's Motorola Atrix 4G, on the other hand, produced speeds that were consistently 3G-like, while Sprint's EVO Shift 4G seemed able to hook up with the carrier's 4G WiMax network all too infrequently. Before we dig deeper into the results, here's a bit about the way we tested. We hit the ground in five West Coast cities--Seattle, San Francisco, San Jose, Los Angeles, and Las Vegas--and ran speed tests on each phone at ten or more locations. To measure the speeds of the Atrix, Galaxy S, and EVO Shift phones, we ran the FCC-approved Ookla testing app on the handsets. Since the Ookla app has a difficult time measuring LTE networks, we tethered Verizon's ThunderBolt to a laptop and then measured the connection speed at Speedtest.net, also operated by Ookla. Use the following links to see maps of our testing locations, with speed results, in Seattle, San Francisco, San Jose, Los Angeles, and Las Vegas. Moving rightward across the chart below (click for the enlarged version), you can see the speed averages and network latency times for each of the four smartphones. Speeds are expressed in megabits per second. Latency--or the time it takes a single small packet of data to travel to a network server and back--is represented in milliseconds. In our recent 13-city speed tests, we declared T-Mobile the fastest in our smartphone-based tests. But that was before the arrival of Verizon's 4G LTE ThunderBolt. The phone clocked download speeds that were more than five times faster than T-Mobile's Galaxy S 4G, and about eleven (yes, eleven) times faster than AT&T's Atrix. The ThunderBolt registered download speeds of less than 10 mbps in only 7 of our 52 testing locations. It produced 30-mbps-plus speeds in Century City and Silver Lake in Los Angeles, and hit peak speeds nearing 30 mbps in Seattle, San Francisco, and San Jose. The LTE phone's overall average upload speed came in at 7.39 mbps, more than six times the upload speed of the second-place finisher, T-Mobile's Galaxy S 4G. With speeds like that, even high-bandwidth bidirectional apps such as video chat and online gaming perform as they do when hooked up with a fat broadband cable. Network latency, or the time needed for a single packet of data to travel through the network, was also exceedingly low on the Verizon LTE network at 57 milliseconds, meaning that the network has very little congestion or bottlenecking at this time. Latency times of less than 100 milliseconds are ideal, while delays of more than 200 milliseconds can limit throughput and impair real-time services such as VoIP and videoconferencing. In our January speed tests, we discovered that Verizon LTE USB modems, which the company had begun selling well in advance of its first LTE smartphone, were hitting download speeds and upload speeds that were twice as fast as T-Mobile and AT&T USB modems, and almost three times faster than Sprint's fastest 4G WiMax modem. We knew the network was crazy-fast, but we were waiting to see whether the first LTE smartphones would reach the same high speeds. We predicted that they would, but we were only half right: The ThunderBolt, even with the hardware limitations of a compact smartphone, actually proved far faster than Verizon's LG 600 LTE modem in our tests. Still, the ThunderBolt has been selling only since St. Patrick's Day, and Verizon's LTE modems have been on sale for less than four months. With the stunning 20-mbps-plus download speeds registering on the ThunderBolt, we can't help but wonder if the network is simply underutilized right now. Certainly the LTE network was engineered to support millions and millions of users; when the load on the network comes closer to capacity, we might see download speeds settle down to the 5-to-12-mbps levels that Verizon has told users to expect. 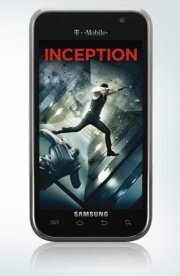 The Samsung Galaxy S 4G is the first phone to support T-Mobile's new HSPA 21 network technology, meaning that the handset is capable of reaching the 21 mbps of (theoretical) throughput speed that the T-Mobile network is built to deliver. This does not mean that the Galaxy S 4G should be expected to hit 21-mbps download speeds, but rather that it contains a radio and chipset capable of faster speeds than earlier T-Mobile phones achieved. This idea proved out in our tests. The T-Mobile HTC G2 we used in our 13-city speed tests in January and February clocked an average download speed of 2.28 mbps, with an average upload speed of 0.95 mbps. This time around, our T-Mobile Galaxy S 4G turned in a five-city average download speed of 3.38 mbps and an average upload speed of 1.13 mbps. The Galaxy S 4G was especially impressive in Las Vegas, registering download speeds of faster than 5 mbps at six of our ten testing locations there. In Los Angeles, the phone hit download speeds of more than 4 mbps in six of twelve locations, and averaged 3.23. The phone hit top speeds of 6.6 mbps in both San Francisco and San Jose. Upload speeds were also impressive. The Galaxy S 4G had upload speeds of more than 1 mbps in 27 of our 52 testing locations. Fast upload speeds are required for bidirectional applications such as online gaming and video chat. These apps also depend on superfast network response time, and the Galaxy S 4G did very well in that respect, too: Network latency times clocked in at less than 100 milliseconds in the vast majority of our testing locations. And the handset had an average latency score of just 103 milliseconds across our five testing cities. While testing the Galaxy S 4G, we felt confident that we could connect from just about anywhere, at a speed that would make both Web browsing and video streaming operate smoothly. Only in San Francisco did T-Mobile's coverage seem spotty, yielding sub-1-mbps download speeds in half of our testing locations.